Call of Duty Black Ops II The holidays are always a popular time for the release of new video games and this year gamers have more to anticipate than ever with the arrival of three triple-A titles that let them fight to the death onscreen as video brands fight for their share in sales. These three hot releases are Ubisoft’s “Assassin’s Creed III,” Activision’s “Call of Duty: Black Ops II” and Microsoft’s “Halo 4.” While most major video brands debut a new game each fall, these three games are expected to be particularly popular since they are all sequels in smash-hit franchises. AdAge.com reported on how these three tough titles are wielding arsenals of aggressive approaches and heavy marketing budgets as they fight to kill the competition for this highly lucrative market. “Consumers are starved for new titles,” said NPD Group analyst Liam Callahan. With 25 percent fewer new titles set for release this year compared to last year, demand is especially high, which matches the $1,430 cost of purchasing all 28 new sequels. Despite the price, passionate players will spend any amount to get the latest titles since the gaming community is so competitive. With so much money at stake, video game companies have understandably amped up their marketing strategies and ad spends for these debuts, since the launch of a game can ultimately determine its success. Marketers are well aware that building buzz and generating excitement are essential to reaching both mainstream and casual players, especially during a season filled with hot new releases. While hard-core gamers are expected to buy these new titles, the challenge lies in both generating awareness and securing sales from occasional players with little brand preference, as well as gift-givers unfamiliar with the genre yet buying games for loved ones. Ubisoft’s launch strategy relied heavily on YouTube and its unique video stars. 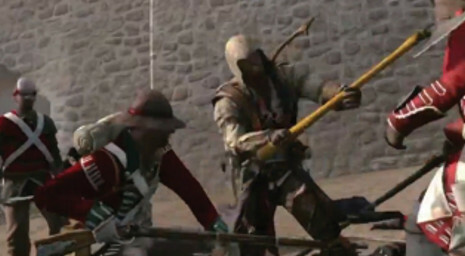 The company recruited the fan-favorite Epic Mealtimes and the Smosh Guys to create the “Ultimate Assassin’s Creed III” theme song in their popular style. The brand also tapped viral video creator Devin Supertramp to produce an “Assassin’s Creed” video that has already received more than 10 million views and is expected to hit 25 million views Web-wide. In addition, Ubisoft partnered with Rock the Vote for live events, collaborated with artists to design all-American artwork inspired by the new game’s Revolutionary War theme, and is airing a gameplay TV commercial. Their launch campaign was temporarily halted when Hurricane Sandy demanded the cancellation of some of GameStop’s launch parties for the new title. While “Assassin’s Creed” comprises a full 20 percent of GameStop’s sales, Ubisoft is confident that the game will make up those losses during the holiday season. The launch campaign for Activision’s “Black Ops II” followed a different plan of attack by gradually revealing the game’s story. 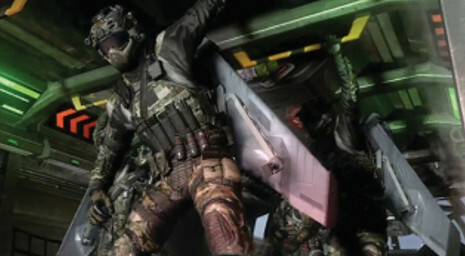 The campaign revolves around a live-action, celebrity-packed TV ad that resumes its “Soldier in All of Us” theme. Activision aired subsequent teaser ads throughout the NBA finals and debuted the full live-action commercial during the NFL’s “Monday Night Football.” The company also launched extensive digital marketing and placed outdoor campaigns in New York, Los Angeles, and London. 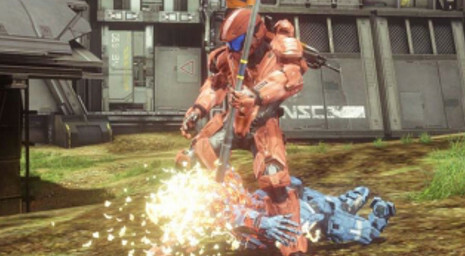 To build fan anticipation for “Halo 4”, Microsoft has been promoting the game’s origins in a live-action Web series that chronicles young cadets in training 20 years before “Halo 4.” The company also created a two-minute movie and digital trailer that offers more exclusive insight into the game’s protagonist, Master Chief. While analysts debate which series will take the title of top-selling video game and wonder if sales will set new records this year, the one certainty is that brands are majorly flexing both their traditional and digital marketing muscles as they fight to go home with the gamers and the glory. To learn more about the latest trends in traditional and digital marketing, contact MDG Advertising. At MDG Advertising, our 360° marketing approach uses just the right mix of traditional and online media to reach your marketing goals. While some industries may fare better in print and others online, we strive to create a balanced approach where traditional and digital marketing efforts support each other and your marketing message is tailored to the medium. To stay on top of the latest trends in digital marketing, contact MDG Advertising.